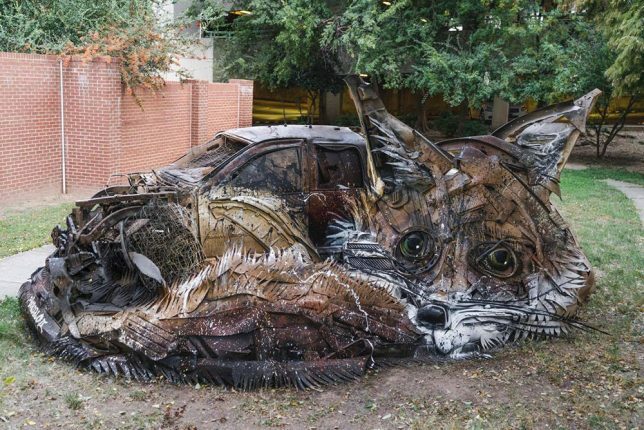 Literally popping out of city walls in three dimensions, wild animals emerge from a jumble of car parts, corrugated metal and random industrial objects masterfully layered and painted by Bordalo II. 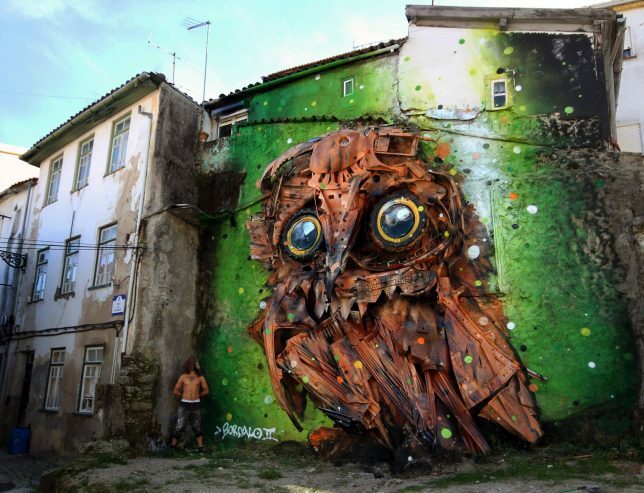 The Portuguese street artist has spent much of the last decade installing these giant murals in the streets of his hometown of Lisbon and other locales around the world, literally infusing new life into the stuff we’ve deemed junk and tossed away. 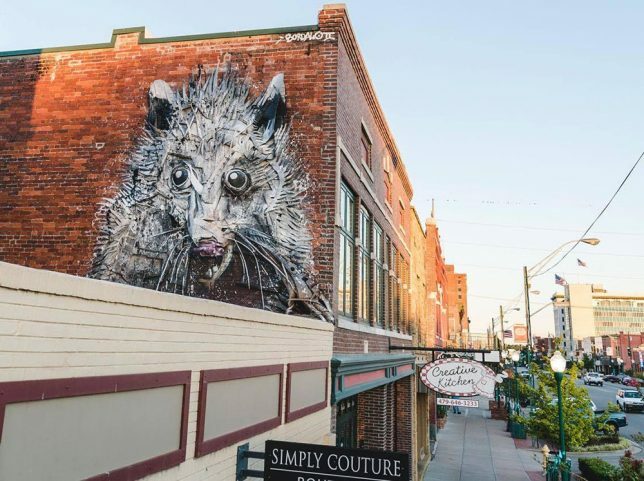 Several new pieces have emerged in recent months, including a possum in Ft. Smith, Arkansas and a flying squirrel in Estonia. 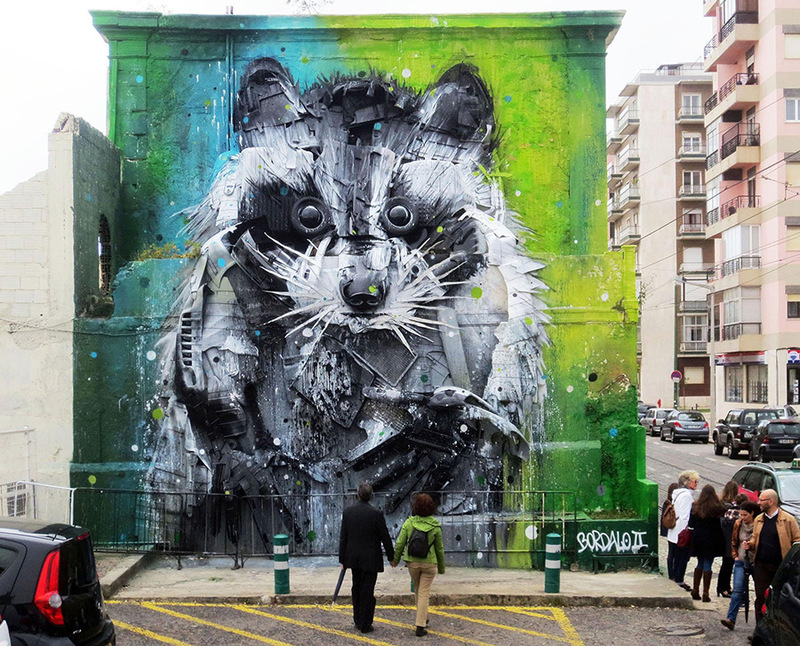 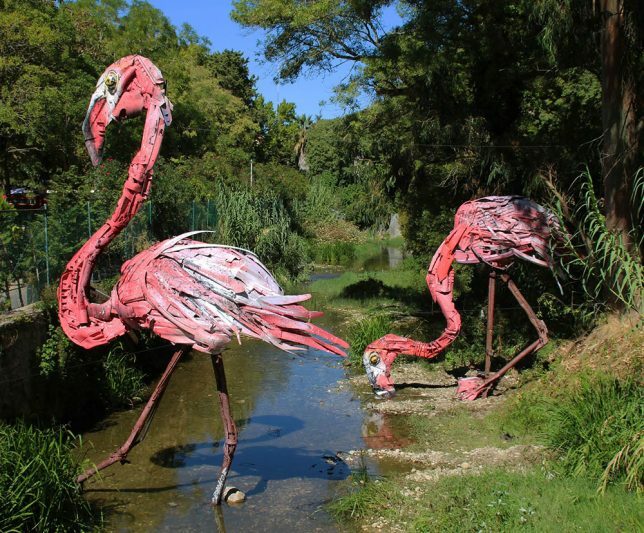 Each of Bordalo’s sculptures grows in an almost organic fashion depending on what kind of trash the artist can find on the streets near his installation location. 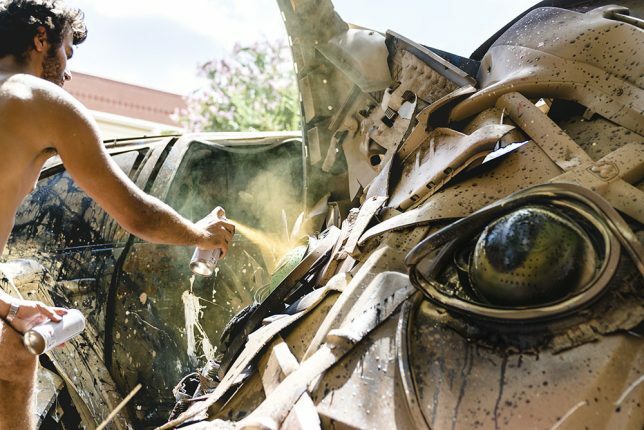 As you can probably imagine, he has no trouble accumulating more materials than he can handle just with a quick trip driving around a few city blocks. 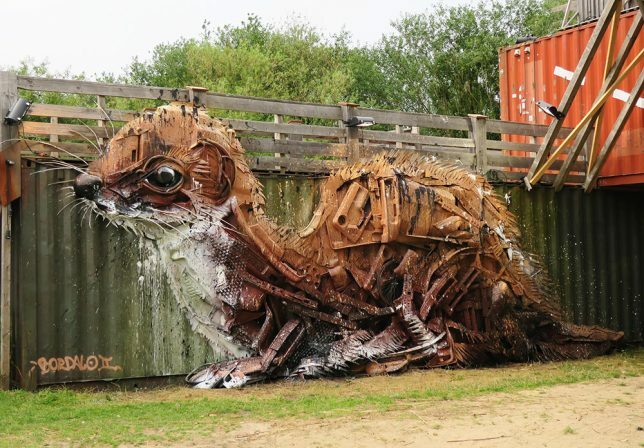 Certain materials, like tires, are preferred because they’re easy to cut and shape. 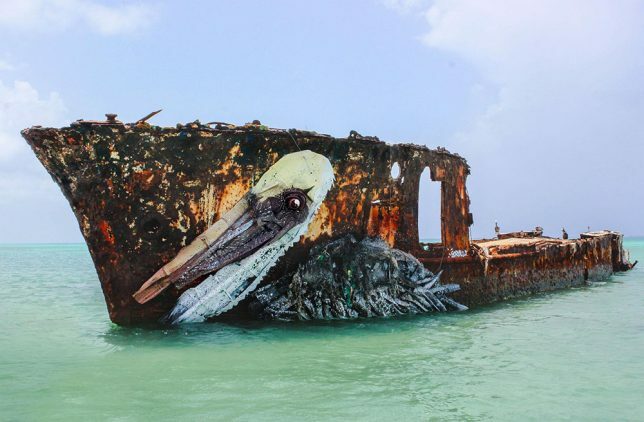 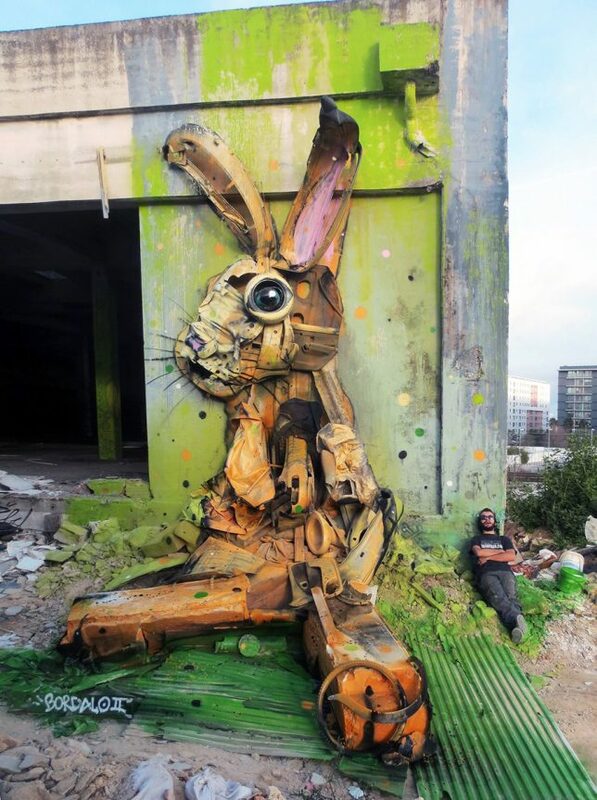 Like so many street artists, Bordalo started out making illegal street graffiti, and his style emerged over time as he began to integrate 3D objects into the paint. 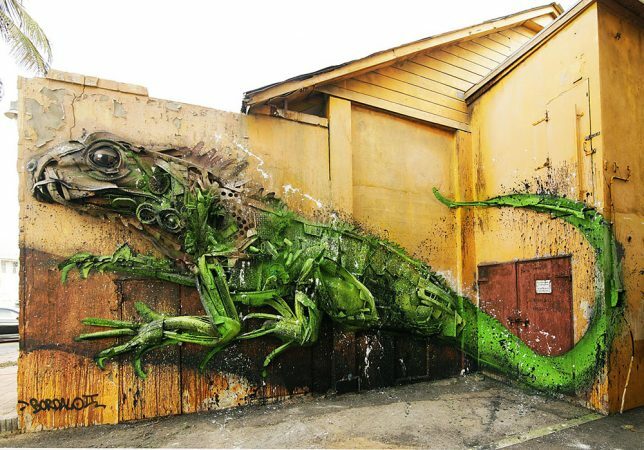 “Even if in the beginning it was all about exploring and discovering the way to do, the way to make it work, I’m still trying to innovate, create new problems and have fun with them – this is the process that creates different expressions, forms, textures, etc.,” he says in an interview with Street Art News. 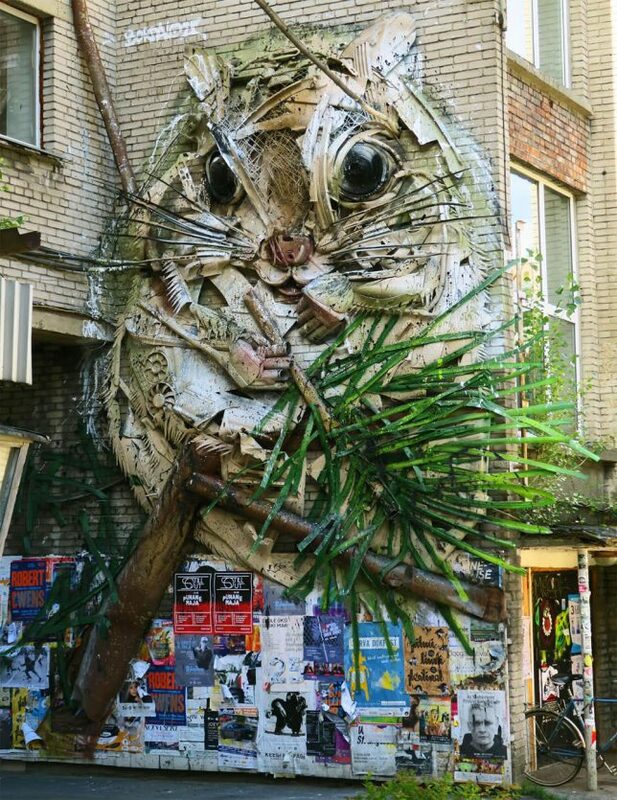 Take a look through Bordalo’s Instagram for more projects, and see if you can identify all the individual elements that go into each piece.